The Jobu 3.5" riser block is a solid billet aluminum device for raising the mounting height of a ballhead or gimbal head, primarily to be used on the RSP88 shooting platform or TTP ground pod. The Riser is made of solid aluminum making it very heavy for extra stability for remote shooting operations. 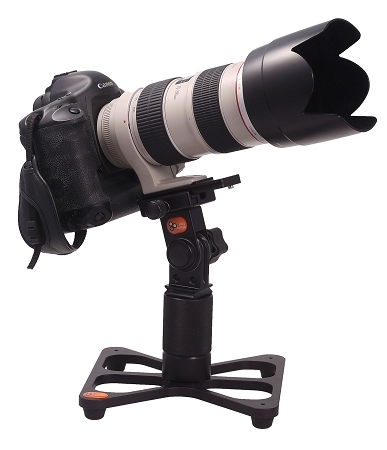 We don't recommend this as a tripod-top riser unless you are shooting in studio - it is not back-pack friendly! Stainless steel 3/8"-16 threaded insert on top with matching 3/8" female thread on bottom for attaching to most common devices. 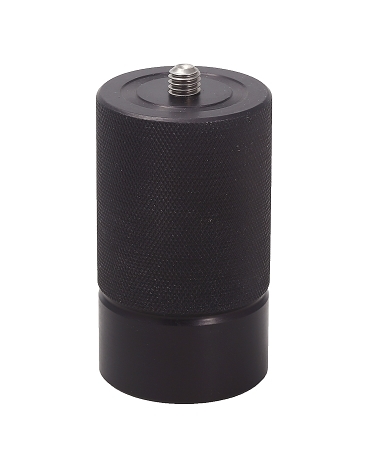 Diamond knurling provides grip for quick and easy tool-less installations.